Actually they remind me of a recent trip I had to Japan. Did you know that many of the patterns on their porcelain are linked into the seasons? And the seasonal food matches too! Thanks for the comment Carol, that's really interesting. I love the idea of eating food that's in-season and using china that reflects it too. Plus, it's a fabulous excuse to have more than one range of crockery! 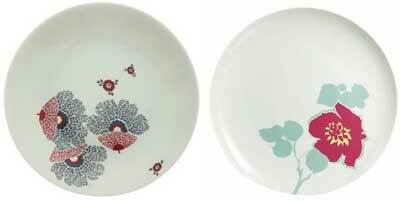 kenzo's dishes haves no match: if you want the best porcelain pieces in the U.K buy one of these sets ! Merci pour cette information utile pour mes recherches! Especially for the first row of tiles, a guide board can help get you off to the right start. It looks so decorative! it will really look good inside a shelf displaying at the dining room. I wont use it for eating. Simply gorgeous where can i get them? WOW! what a great list of homewares! Thank you very much for taking the time to post this. People in every country take the loans from different creditors, because that is fast and easy.